Thank you so much everyone for making this day awesome! 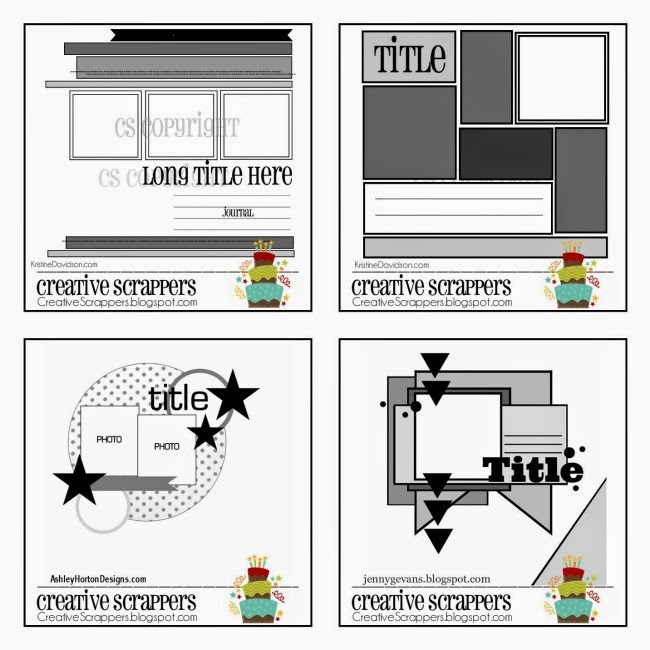 This is how we should celebrate all birthdays ;-) Thank you for making Creative Scrappers your place to visit when you need a little inspiration. Cheers to many more sketches! I have a prize for someone who links up a layout using any 12 of our birthday sketches! YES a prize a 50$ gift certificate to your favorite Scrapbook Store! It will remain active until May 30th at midnight. thank you for playing along with us ! Happy Birthday!!! Great sketches, Both my kidos just had birthdays and I could use some of these. Going to have to try!!! Happy Birthday! Love your sketches (and pretty fond of you too!). There are a couple I love, plan to play along this weekend. This is awesome! Cake is in the oven...now I scrap! Hopefully I won't burn the cake! Not only have I chosen a sketch, I've kinda blown my mind at how I'm going to use it. I can't wait to get this started! Going to do some of these for sure!!!! Wonderful sketches! Happy b-day CS! Those sketches are smoking HOT!! This is on my TO DO list this weekend. This will be fun creating with these awesome sketches! Definitely on my to-do list in May! Thanks for the opportunity to play with such awesome sketches!! These are awesome. Pinned them all for future inspiration. Thank you for all the fabulous sketches!! Happy Birthday to you!!! I liked on FB and commented on all the blogs. Wow these sketches are amazing, I will definitely be using some- love them all. The blog hop was great fun, what a talented group you have! 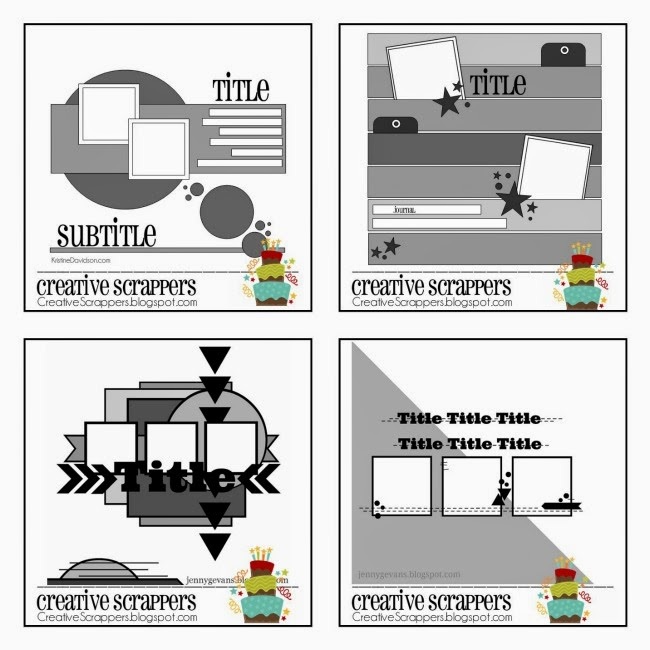 Happy 6th Birthday Kristine and "The Creative Scrappers" Blog. This was a great Blog Hop. I hope I was able to share it around enough :) Your team did a fabulous job. So much creativity and talent. I am looking forward to challenging myself with some of those sketches. Thank you so much for sharing. Happy birthday! I love all the sketches! Thanks for all the inspiration and the challenges! Happy Birthday!!! And by the way... I LOVE YOUR SKETCHES!!!!!!!! Happy Birthday! Heard about this over on SNC and thought I should come and check it out. So many great sketches to choose from. Thanks! Love the sketches and wonderful inspiration! I am almost finished with my layout using sketch the 3rd sketch.....hope to finish it tonight! Thanks! Happy Birthday! I love your sketches and all the inspiration. happy birthday! Love all these sketches! What a fun challenge. 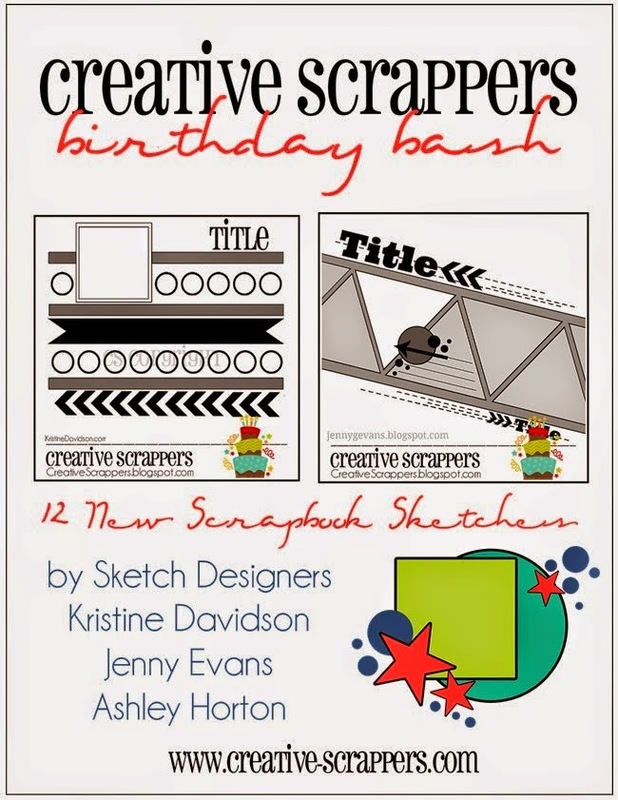 happy birthday creatives scrappers !!! I made 4 of them!